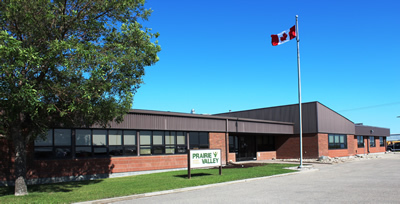 As part of the Prairie Valley School Division's review of its transportation system, open houses will be held from 6 p.m. to 8 p.m. as follows: Balcarres Community School Library - January 5, 2012, James Hamblin School Library -January 10, 2012 and Vibank Regional School Library -January 11, 2012. The three-year transportation review is now entering its second year. The first phase — involving the Whitewood, Broadview, Grenfell, Wolseley, Kipling and Kennedy areas — was completed in the spring of 2011 and resulted in more efficient bus routes and shorter ride times for some students. Phase two involves the attendance areas for schools in the communities of Balcarres, Neudorf, Lemberg, Indian Head, Fort Qu'Appelle, Qu'Appelle, McLean, Montmartre, Sedley and Vibank. The goals are to make improvements to bus routes and ride times and may include adjustments to attendance area boundaries. The guidelines for the review include the design of safe and efficient bus routes, the establishment of defined ride time guidelines and keeping ride times for students within those standards. An analysis of the current routes in phase two has been completed and potential changes to the attendance area boundaries have been drafted. The open houses will provide an opportunity for Prairie Valley parents/guardians and other residents to review the proposed changes in their respective areas and provide feedback. It is important to note that any families impacted by the boundary changes will have the option of attending within the new boundary or being grandfathered into the original boundary to avoid disruption for students.